Ah Gluten Cutter, where have you been all my life, some might ask. A pill that masks symptoms instead of solving problems, where have I heard that before? A pill that offers people a false sense of security to eat whatever they’d like, without consequence. If something sounds to good to be true, then it probably is. 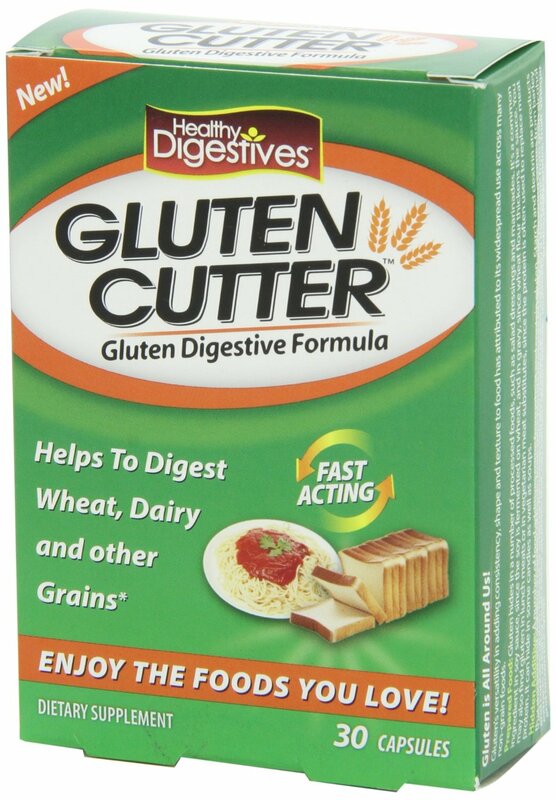 Gluten Cutter claims that they are a digestive aid which helps digest ‘gluten’ containing foods. It is formulated with GCX50, “an advanced proprietary blend of enzymes that ‘specifically target and break down gluten’ to properly digest gluten-containing food.” They claim that if you take Gluten Cutter before you eat gluten foods, you can have the “freedom” to eat whatever you like. Only gluten cutter is formulated with gcx50, an advanced proprietary blend of enzymes that specifically target and break down gluten to properly digest gluten containing food. Gluten cutter can provide individuals with the freedom to enjoy the foods they love without having to deprive themselves or worry about the effects of gluten. It may also be used by those looking to remain on a gluten free diet. Simply take gluten cutter right before you begin eating gluten containing food. How can this product promise this? Where are all the scientific tests and studies proving this has beneficial affects? Why are there no warnings of the possible danger this product may cause? This product has not been tested, nor has it been certified by any reputable source. So, now we know there cannot be a ‘digestive aid’ to help ‘digest gluten’, because gluten cannot be digested fully. But, there are enzymes: plant, animal & human based, which naturally aid in helping the body deal with the bad reactions caused from eating food your body doesn’t like. These bad reactions are early warning signs and ignoring them, pretending it’s ok to eat what you want, may lead to a worse diagnosis down the road. Let’s breakdown the Gluten Cutter ingredients & enzymes. Enzymes help cells change one thing into another. An example would be, an enzyme changing starch into sugar. Enzymes have extremely interesting properties that make them little chemical-reaction machines. The purpose of an enzyme in a cell is to allow the cell to carry out chemical reactions very quickly.These reactions allow the cell to build things or take things apart as needed. An enzyme acts as a very efficient catalyst for a specific chemical reaction. The enzyme speeds that reaction up tremendously. – Some ingredients may interact badly with medications or spike blood sugar in the case of diabetics. – Cellulase can build up in the esophagus, stomach, or intestines of susceptible individuals. – The ingredients have not been thoroughly tested so use at your own risk, potential side effects not known. You don’t have to be diagnosed with Celiac Disease to cause damage to your body when eating gluten. When your body is telling you not to eat something and you do it anyway, your body will react, noticeably or not. The problem is, this product can become a crutch, enzymes can only do so much. One of the comments said, “I can finally eat real food”. 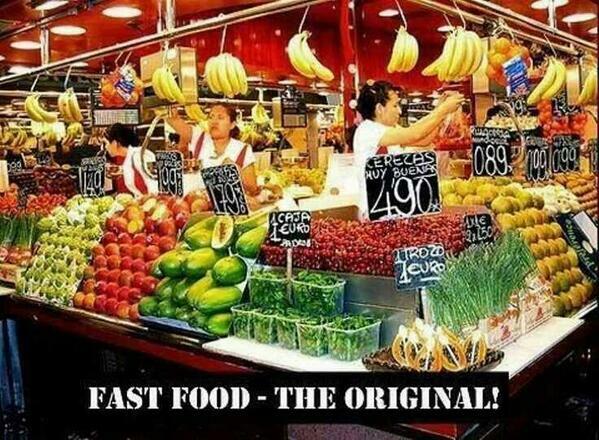 ‘Real’ food is just that, real food! Fresh fruit n veggies, whole meats, fish, legumes, nuts. If it comes in a box, doesn’t have an expiration date, or you can drive your car through it, it’s probably not ‘real’ food, considering the picture below. Check out this Great Article Can “Glutenase” Pills Help People with Celiac Digest Gluten? This Link will take you to positive and negative comments from Amazon Users . I have a problem with how this is marketed. It isn’t Lactaid that helps Lactose intolerant people consume dairy. I did send my husband out to buy one of these types of products today. I experienced my first severe glutening today since changing my diet. I remembered seeing these pills. Will I take them so I can eat a doughnut? Hell no! But if I get contaminated food it helps. I don’t know if it is the enzymes or the ginger…or the fact that I started drinking green tea and lots of water to flush my system, but I felt a bit better. Enzymes can help the digestive tract for sure… As well as lots of green tea & ginger flushing the junk through, one of the things I do. And if it helps then that is a great thing because there is nothing worse then a bad glutening experience. I don’t have the typical symptoms when I ingest gluten, so I’ve been leery of trying Gluten Cutter. I’m glad I didn’t waste my time, money or health. A few years ago, searching for something else online, I ran across the symptoms of gluten intolerance. The upper respiratory/head stuff jumped off the screen – could have had my name and photo there instead. I’m nearly 59 and have been treated for “allergic rhinitis” and migraines for most of that time. When I went totally GF (after a period of denial about 3 months into the process), the lifelong postnasal drip with its embarrassing symptoms was gone; the gluten-specific migraines (pinpoint hot poker as opposed to defined area) only show up if I accidentally ingest the poison. It only takes 10-15 minutes to know, and the pain is AWFUL, which is why I didn’t jump on Gluten Cutter when I heard about it. Thank you for busting it! Almost a year ago I found out I was gluten intolerant by accident. I was diabetic, bedridden, 315 lbs and struggling to lose weight, and got stuck after only losing 35 lbs, So I started eating only lean meats, eggs, nuts, fruits, veggies, brown rice, potatoes and dried beans. (notice how gf that is?) Then one day I ran out of food and I was going shopping later but I needed to eat now, so I grabbed a piece of whole grain bread with some peanut butter. I only ate half and my stomach hurt sooo bad I couldn’t finish it. On my way to the store I stopped at my daughters house and was so hungry, my daughter gave me a granola bar, again 2 bites and pain. It hurt a lot! I went shopping and didn’t give it too much thought, buying my healthy foods. A few days later I told my Dad about it. He had been diagnosed with as Celiac 2 years before. When he suggested that gluten was making me sick, I thought oh, well I can do that if I need to. There have been glutenings from hidden gluten, that have made me sick . My teenage son has had horrible bowel problems his whole life, he has had bowel blockages too numerous to count, 4 or more times a year, requiring being hospitalized for up to 5 days at a time. I started to get curious about that. I started him on a gluten free diet 2 months after I diagnosed myself. No more bowel problems. It was a miracle. My teen daughter has Autism and ADHD, gluten free helps her concentrate, There are less meltdowns and anger issues…. and she is a happy kid! My 29 year old daughter went on a gluten free diet just yesterday at my suggestion. She has been having bowel problems for years and her health is going down hill. I am waiting for my 31 year old to realize gluten is also responsible for her bowel and other medical problems. I have lost 110 lbs in 22 months(75 lbs of that since going gluten free almost a year ago), and I went off my blood pressure and diabetes medications. My blood sugar is now normal, I am no longer bedridden. My whole family is gluten intolerant. Just a trace will make us sick. I saw this Gluten Cutter ad and thought, now there’s a bad idea…. Wow Lorrie, what an amazing story, thank you for sharing. Not only did you lose weight & your whole family feel better, but you were also able to get off your medications, all thru gluten free and nutrition. Congratulations, what a wonderful story. I was diagnosed with Celiac in 2005. My father and sister both are celiac so it does run in the family. I have been eating GF for most of the time. There have been some slips. I started working in the WalMart Deli in December 2013 and I have had extreme gluten reaction. I need this job as we have a son in College and my husband has Myasthenia gravis and can’t work. I tried the Gluten Cutter, one pill every 4 hours and it has stopped the extreme pain I get from gluten and the Dermatitis Herpesformi (spelled wrong). I expect there is still some villi damage, but at least the pain and itching is gone. I do not eat the food, but I think I am inhaling the coating on the fried items. Any suggestions. Only used it to eat somewhere a friend wanted to eat that I couldn’t be certain about gluten free (sushi). I thought it was ok, less stomach cramps. But day or so later, other symptoms I hadn’t had since going gluten free started, like intense migraines and intensely itchy skin. I’ll go back to my gluten free diet, thanks, no food tastes good enough to be this miserable. That’s exactly what I thought when someone showed this product to me. Quite frankly, nothing tastes as good as being healthy feels. I am so happy with the results of my gluten free diet. It’s given me my life back. Awesome!! Thank you for writing in, Jules would be most appreciative as well. “Nothing tastes as good as healthy feels” is a phenomenal way to think, more people need to adopt that slogan. Do you have a fave cake you like to make? My favorite thing to make is banana cake (or bread). It’s an amazing gluten free snack! Thanks Terry, it looks really good. I think it’s important to note to people that I have actually tried this Gluten Cutter and am extremely happy with it. It has helped my bloating/ stomach discomfort symptoms from the “hidden” gluten in “GF” foods. Not everyone who is looking for a symptom reliever is using it to eat a doughnut, sandwich or even purposely ingest gluten. Regardless, the pill does work. Why would you live in constant discomfort even though you try to live GF and eat the right things if there is something that could help?? It is made of enzymes that help all digestion and does not harm the body. Yes, in a perfect world GF would always mean GF, but that’s just not the case and since I can’t change that, I will continue to take Gluten Cutter. Thank you Kim for your response. Unfortunately there are a lot of people out there who are using it as a band-aid before eating a doughnut. I am glad that this helps your discomfort, because we all know how bad things can get. Reminds me of Dapsone – which I was taking for a couple of years for my DH form of Celiac Disease. Just masks the symptoms, but doesn’t prevent the damage from being done. And how have you been feeling? Have gained a little bit of weight, but that’s probably my own fault! Still struggling to eat more healthy foods, and not just substitute crappy, over-processed foods with crappy, over-processed GF foods. Well my one piece of advice is, to think of whatever you choose to do as a lifestyle. Diet can be a little derogatory and you can create this sense of short termness in your brain. This is a great time to start that re-wiring. Keep in mind that its not easy and be proud of yourself for each change you slowly make. Society is addicted to sugar and that’s how we should look at it, as an addiction. We need to detox from it just like any other drug. People can’t expect to eat processed foods in their diets predominantly and then overnight start craving an apple instead. Stay Strong! Take all the bad food out of your house so you are less likely to grab that instead of something healthy. Also, one of my posts today is about the free gluten online summit in November. I suggest registering because there is so much invaluable info from amazing people. Thanks for all of the advice…I appreciate it. People amaze me. “There’s a sucker born every minute.” ~P.T. Barnum I hope people learn not to buy that crap. Thanks for posting. I have celiac. I know a pill won’t cure me.